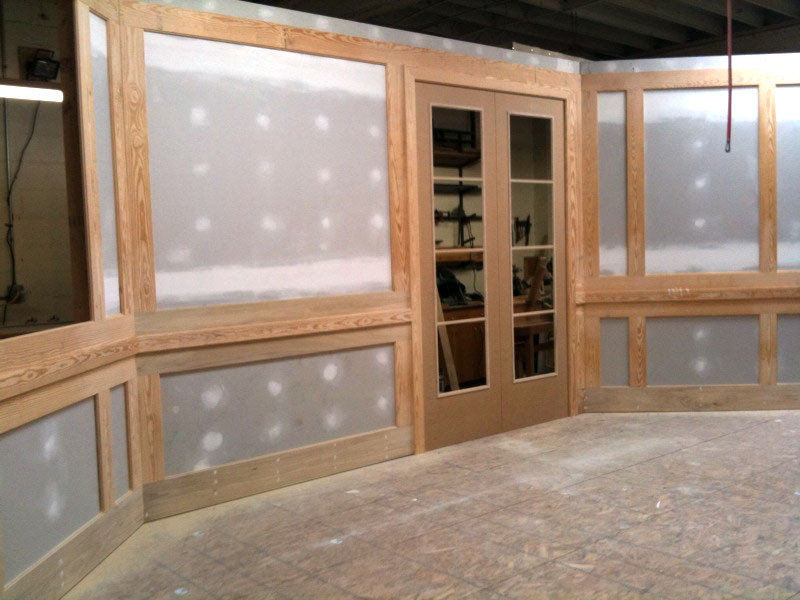 Current Projects: Before & After Photos of NBC 17 “My Carolina Today” Set Design | Design Lines, Ltd. This project started with a huge amount of research to understand set designs. We had never done one before!! During this time everyone on the Design Lines team observed and took notes of television shows, talk shows and even news shows to gain knowledge and expertise in the set designs. What we found was really neat! If you focus tonight on a couple of news shows, more often then not the anchors will be in front of a shade of blue. This is because no matter the skin tone, everyone looks good in front of blue. However, traditionally this blue is not any ordinary blue, it is a bright cobalt blue. 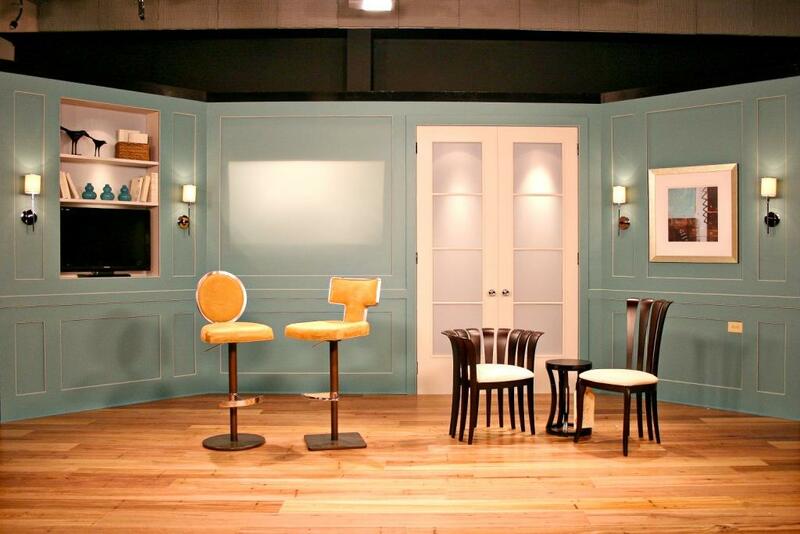 Common themes we saw throughout our research on talk show sets is that they vary from living room scenes to high bar stool set-ups and even have a combination of both. A couple of examples we looked at were Hoda & Kathy Lee, The View and Oprah. So in the end, this is what we came up with. See the previous post or click on “My Carolina Today” category on the right to see Judy being interviewed by Sharon Delaney. There you will hear the vision and our inspiration from Judy in her own words. 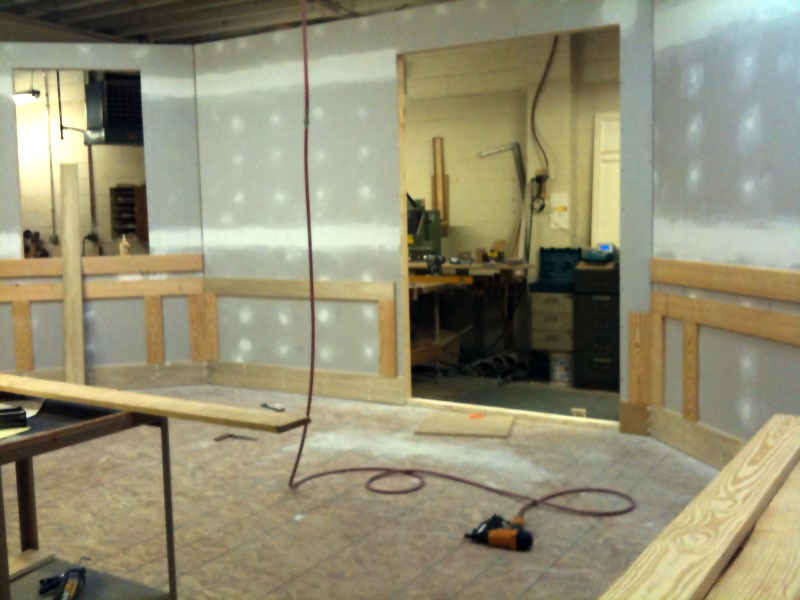 Below are a few photographs of the My Carolina Today set under construction. 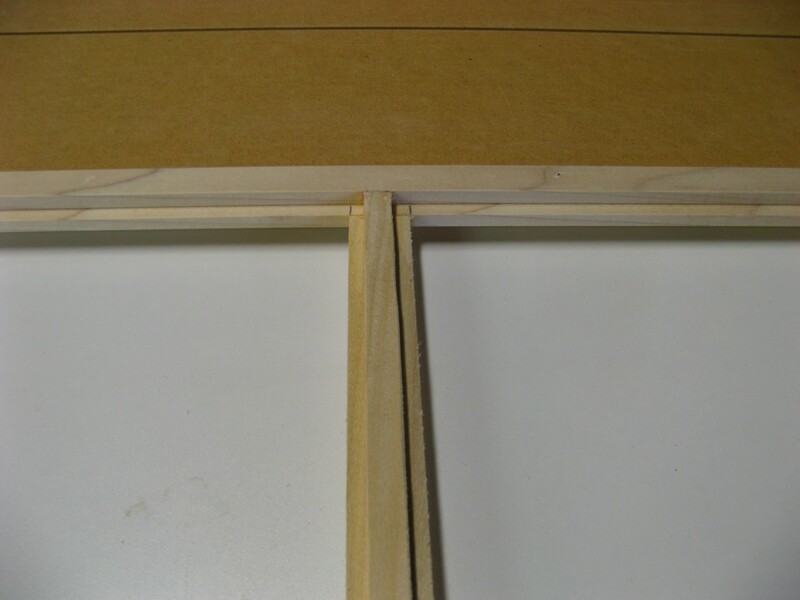 Below is the installation of the the plexi glass. Later the doors would be lit with down lights and a tree picture added from behind to give the viewer the illusion that we were actually sitting inside someone’s living room. Below is one angle of the finished set.